Recently I was talking to a friend about the joys of listening to an album the whole way through, and I got to thinking about my favorites. So when I got home that day, I went through iTunes, dumped them all in a playlist, and then clicked Play to see if I couldn’t remember why I loved them all so much. During this process, I also ended up downloading some remastered editions just for shits and giggles. And of course, I loaded the whole list on my iPod so I could take it with me. Now a little bit on my history with Lizard… once upon a time, when I was a wee young boy taking guitar lessons and carefully forging calluses on my fingers, my sage Berklee-trained instructor Waldo Ortiz somehow got the idea that my budding musical intellect would somehow be turned on by… King Crimson records, of all things. I’m not sure if this had anything to do with his perception of my musical tastes at the time or if it was just him trying to pass on his own love for the quirkyness that is Crimson. Of course, Casa de los Tapes (“The House of Tapes”) did not stock a single copy, so I special ordered my very own copy of Lizard, based only on the cover art in the catalog. A week and a half later, I forked over my allowance and ran home with a brand new CD to pop in my boombox. And to make a long story short, I was hooked. Lizard remains my favorite Crimson record to this day. Fast forward to this morning, when I queued up my freshly downloaded remastered copy and played it in my car on the way to work. I was blown away. The stereo separation in my car’s stock sound system was SO clear… until today I had never realized how much work and thought went into track panning on this album. During certain parts of Cirkus and Indoor Games, I felt like Robert Fripp was actually sitting in my passenger seat. With the drums panned hard left for parts of those songs, minute little details of his guitar lines that have escaped me for years suddenly revealed themselves, and I remembered just why I love this album so much. 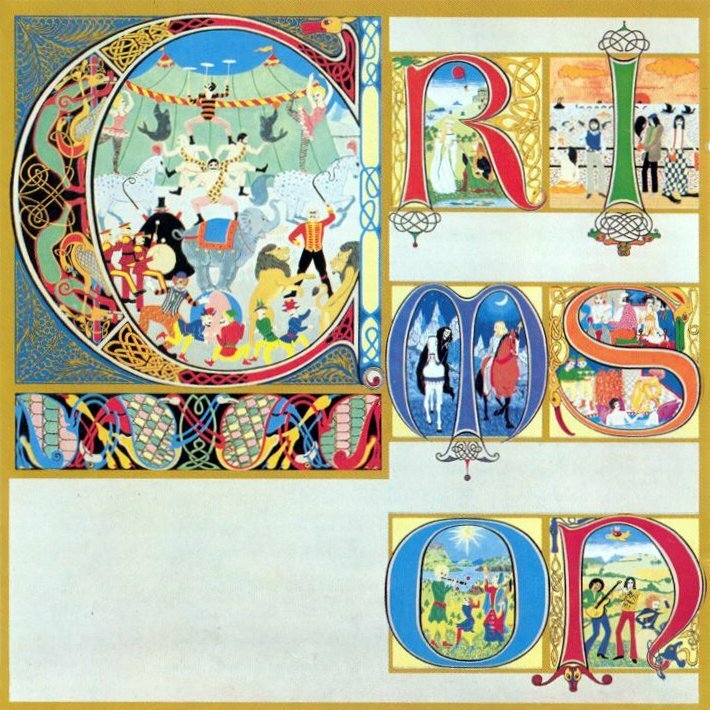 So, long-time Crimson fans, find this remastered edition and give it a listen if you’d like to rediscover this underrated classic. And if you’ve never heard of em, now’s the time to start, and there’s no better introduction than this. This entry was posted on February 4, 2011 at 3:55 pm and is filed under Artists I Like, Music, Reviews. You can follow any responses to this entry through the RSS 2.0 feed. You can leave a response, or trackback from your own site.